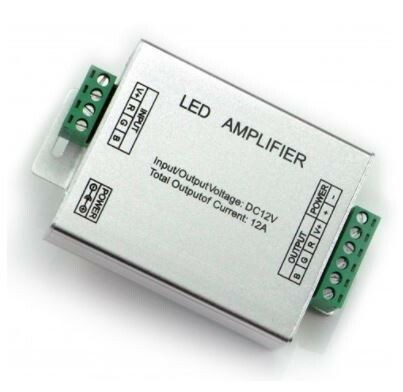 This RGB (Multicolour) Amplifier can be used in conjunction with RGB Remote Control (Touch Dial) for LED Strip Lighting. 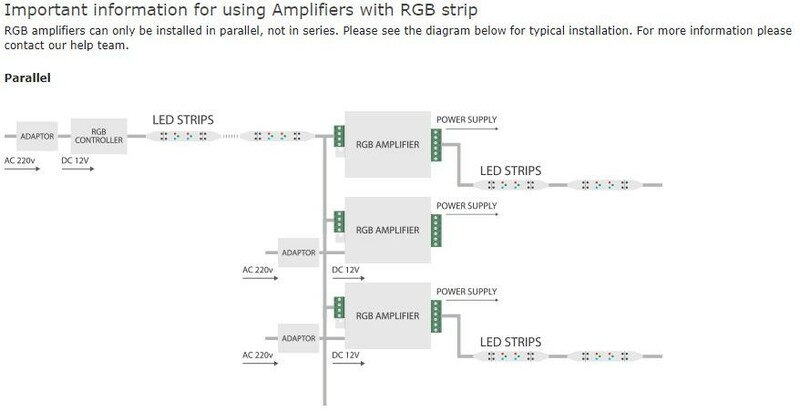 The RGB Amplifier is used in instances where you may wish to control numerous RGB LED Strips collectively from one central controller. It simply boosts the original control signal, continuing the desired light effect or colour pattern.